Cutting house keys isn’t complicated. Really, for the most part it’s all about knowing your blanks. Once you’re comfortable with identifying what you’re trying to cut, the rest is just keeping your key cutter aligned. This is where I normally go into my rant about automatic cutting machines, but really those machines drive so much business for us I’m not going to bother. Keep making those machines. We love them. We don’t use them, but those who do typically end up here anyways. So. Thank you. Where key cutting does get complicated is in car keys. Car keys right now are using what’s called a “sidewinder” design. None of the manufacturers are using the same type of cut, and there are some that very difficult to cut with destroying the blank. I cut a Volkswagen blade a few days ago. 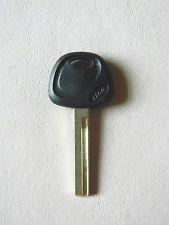 Volkswagen key blades are offset horizontally, making them very hard to grasp in a standard vice. The two sides of the key are also very closely cut together. If your blade is off at all, it’s entirely possible that your bit is going to go right through the key, rendering it useless. This is the same blade used on Lexus. It’s a toughie, but can be done with the right care. Ford uses a blade that is cut on only one side, with an extremely small blade. Mounting this in the vice takes some work, and positioning both the original and duplicate properly can take some manipulation. Then, there’s Hyundai. We all love Hyundai. Hyundai blades are not narrow, and the blade is a solid strip, but as you can see the groove is offset. The cut the key uses only goes about 1/2 to 3/4 of the way up the groove, and that groove is tapered at the end. The design makes Hyundai extremely difficult to cut, and since there are 3-4 variations of this key it’s also difficult to match up. And then there is our beloved Honda. Honda is the easiest key of them all. It’s a thick blade, and the two sides of the blade are spaced far enough apart that you aren’t at risk of killing the key. Really, most of the struggle here, if there is one, is making sure you get the centre piece thin enough to enter the lock. The only thing about Honda that carries any real weirdness is that tiny screw that holds the blade in the head of the key. Replacing batteries can be a pain, but the right screwdriver can fix that. Mind you, if that screw breaks electrical tape seems to be an acceptable solution. I always find it funny that they call these “laser cut keys”. THERE IS NO LASER. It’s a bit. It’s mechanical. The laser is marketing. Shut up about the laser. Most of these keys have transponders in them. That’s the thing that communicates with your ignition to allow the car to start and/or be put in gear. We can copy most transponders, and even some of the remote fobs that go with them, at about half the cost of what most dealers will charge. Why? That’s a story for another day. The list of keys we can copy for automotive is much longer than this, but these are the most common four. 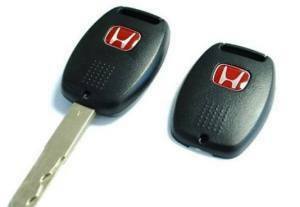 Give us a call if you need a key duplicated, and be sure to bring the car and any working fobs with you if you come in. There is a rather selective list of keys that cannot be duplicated by a locksmith and have to be done at a dealer. We can tell you if yours is one of those. I wish to show thanks to this writer just for rescuing me from this type of issue. Because of researching throughout the world wide web and obtaining ideas that were not powerful, I was thinking my entire life was well over. Existing minus the strategies to the problems you’ve resolved all through your article content is a crucial case, and the ones which may have in a wrong way affected my entire career if I had not encountered your site. Your primary competence and kindness in controlling the whole thing was very helpful. I don’t know what I would’ve done if I hadn’t encountered such a solution like this. I am able to at this time look forward to my future. Thanks so much for your impressive and amazing help. I will not hesitate to suggest the website to anybody who should get counselling about this situation. 1uHQIr Very nice post. I just stumbled upon your weblog and wished to say that I ave really enjoyed browsing your blog posts. After all I all be subscribing to your feed and I hope you write again soon! lfeD0N I’аve read a few excellent stuff here. Definitely price bookmarking for revisiting. I surprise how so much effort you place to make this kind of magnificent informative web site.